Are there any cheapish little 5" monitors without hiss? I just hate it. And I work mostly at low volumelevels. 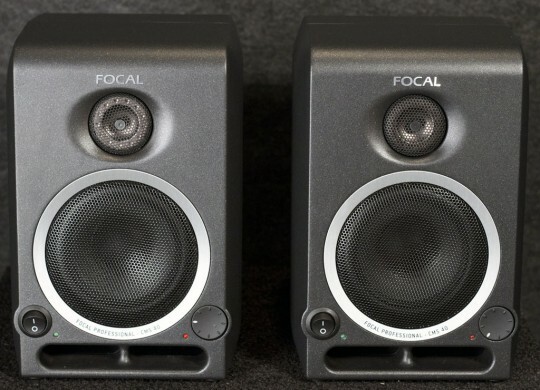 I had a pair of 3" Genelecs which were very quiet, but I a pair of 5" version of those would cost 1100€. I probably haven't listened to the latest versions though. Well, I did get to try a pair of Adam audio A3X and I'm about to buy them now. Absolutely minimal hiss, and surprisingly just the right size for this small room. I like all the inputs, that will be convenient, but I am not expecting them to sound good just fair or so and I will need to add a sub. I'll let you know about the hiss. The Behringer 50USBs have very little hiss. I have a pair of the JBL 305p MkIIs. The hiss is there, but I haven't found it problematic. More information is needed to compute OP's issue. Routing: ITB/Guitar/Drum Machines/Synths? to? Pedals? to Mixer? to AMP? to Speakers? I use Bose (Soundlink2, SLIII) and Focals 6 ins. On the Bose. CRANKED. ITB straight in... no HISS.... BUT, via Pedals, Mixers, etc, then w/o Gain Staging... HISS. I've never gone 'straight' into the Focals (from any sound source) - but - after about 4 clicks on the volume control ... Hisss. At 3-4 clicks, Im at proper Room level Volume at Unity. In any case, I believe 'we're monitoring the AMP' - not the speaker - so you should be able to 'see the noise' before it hits the speakers. I think OP's problem is being mis-diagnosed. A little more info, and OP may start to LOVE their speakers. My cheap lil Bose Soundlink 2s sound Great - properly gain staged. So the Big Name Speakers in OP are probably just fine. More data is expected to figure Operation's issue. Steering: ITB/Guitar/Drum Machines/Synths? to? Pedals? to Blender? to AMP? to Speakers? On the Bose. Wrenched. ITB straight in... no HISS... Be that as it may, by means of Pedals, Blenders, and so forth, at that point w/o Addition Organizing... Murmur. I've never gone 'straight' into the Focals (from any solid source) - yet - after around 4 ticks on the volume control ... Hisss. Ah, discussion still going on here! My problem here was quality differences between the (probably PSU's) in active monitors amplifiers. Just try to get budget Tannoys or previous gen 30x JBL's to be quiet, even when no input and gain at 0. Everything is of course relative, and that is why I specified my preferences like I did. Composing work in quiet environment and mostly with pretty low volumes. Of course it would not be a problem for all of us! Anyway, I've been really satisfied with my pair of Adams.